THE FIRST CHURCH PASTORED BY REV. C. T. WALKER. THE PRESENT EDIFICE WAS ERECTED UNDER HIS ADMINISTRATION. 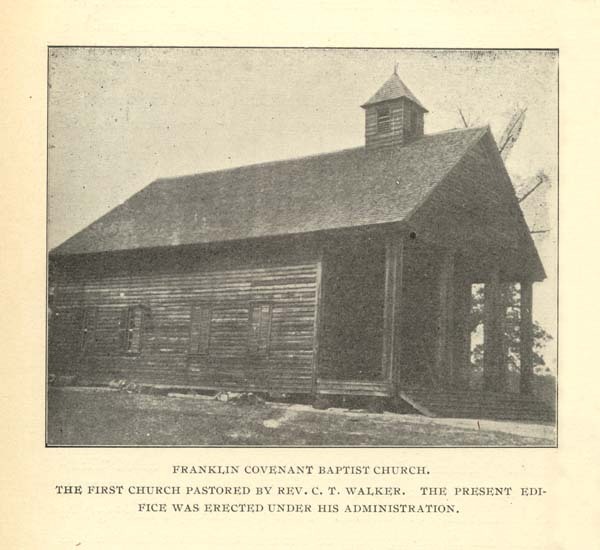 Franklin Covenant Baptist Church (Georgia).